To err is human. But if you’re a project manager, erring isn’t really something you can afford to do. Even a tiny mistake on your end could cost the organisation a lot of money, or worse still, the entire project. And if things go really wrong, your colleagues will end up losing faith in your ability to get work done. That’s career-changing, and not in a good way. However, you can save yourself from the perils of making serious mistakes while managing your projects. 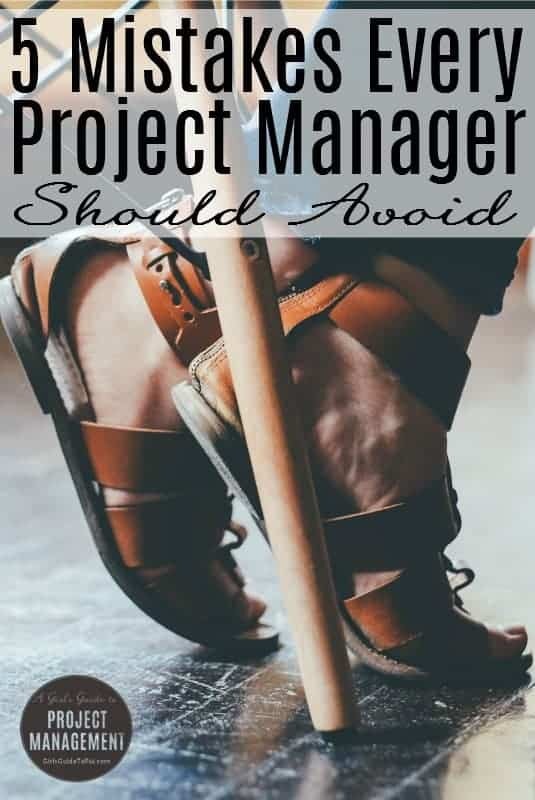 Here’s a list of common pitfalls facing project managers, and how you can avoid them tripping you up. When you launch a project, it’s imperative to identify all the stakeholders, and make sure they’re all on board with your plans. This includes everyone who invests time and energy into the project, and is directly affected by it. If you fail to understand that every single member of your team is important, you could end up undermining, or even causing the complete failure, of your project. Tip: Check out this article on how to engage stakeholders because your team members are stakeholders too! Would you like to see your project systematically self-destruct? All you have to do is stop talking. If you don’t set up elementary communication channels and guidelines into place right at the beginning of the project, you can forget about results or completion. Make sure you do regular status checks, target reviews, and team temperature checks; this will keep you and the team engaged and motivated at every stage of the project. Tip: Build out a communications plan at the beginning of your project. Don’t know where to start? Here’s a free project comms plan template. Yes, numbers are important, deadlines are important, and clients are important. But if that’s all you care about, you might as well just replace your heart with a battery pack. You’re working with people, not machines; everyone has feelings, and everyone gets stressed out. Try and understand that if you act like a walking talking spreadsheet, these people aren’t really going to care about your problems (in this case, your project) either. Tip: Your business case is important, and deadlines matter, but people are people too! Think about how you lead teams so that you show empathy, consideration and respect in your interactions. In order to finish the project and stay within the budget, some managers make the mistake of focusing only on getting deliverables out of the way. In the process, all quality checks are bypassed; what goes out is an end product with lower quality standards than you or the client would consider acceptable. Tip: Plan for quality. Set your quality standards at the beginning of the project and make sure these are both communicated to the team and agreed by the end users. Then check you are on track to achieve them every so often during the project so there are no surprises. But be realistic in your planning. Here’s my take on why quality plans aren’t all they are cut out to be. Now that we’ve made it clear that deliverables aren’t just ‘things that need to be pushed out of the door’, let’s talk about something more important. Meeting deadlines and quality standards takes time and energy. If you’re unable to ensure quality, or if you’re unable to meet deadlines because of the high quality requirements, you should be able to explain to your client why this is happening. Don’t come charging into office and start admonishing your workers about how the client is harassing you for something. This just shows that you have no idea what your team’s capabilities are, and that you couldn’t care less about them either. Not the greatest idea, that. Tip: Projects take effort. Involve your team in creating the estimates so that you have a better idea of what is involved. Keep the communication going in both directions so you know what they are able to deliver – and you don’t overpromise to your client. These are just some of the few mistakes you should be wary of making when you embark on a new project and a few things you can do to stop them causing you headaches. Just keep in mind that sometimes, whatever can go wrong will go wrong. Don’t get bogged down if a project doesn’t go as expected—use it as a learning experience, and don’t repeat the same mistakes in the next one.